SAINT AUGUSTINE – Easter Festival 2019 activities get underway April 11 with the Transfer of Office ceremonies at 6 p.m. in the west courtyard of the Cathedral-Basilica of St. Augustine. At the transfer the 2018 Royal Trio will turn over the symbols of office to the new royal trio. The trio, composed of Queen Mariana, her son, King Juan Carlos II, and his sister Princess Margarita Maria, represent the royal family in Spain in 1672, the year construction was begun on St. Augustine’s Castillo de San Marcos, now a national monument. Each year’s trio is selected from the heritage natives of the city, some descended from the first Spanish settlers here in 1565 and others who came to the community in the late 1700s from Menorca. The 2019 royal trio includes Tiffany Louise Glover Root, descended from the Masters, Mickler, Rogero and Pomar families; Treven Severis Rogero, whose ancestors include Rogero, Masters, Triay and Solana families; and Alexis Jordan Johns, descended from the Pellicer and Solano families. 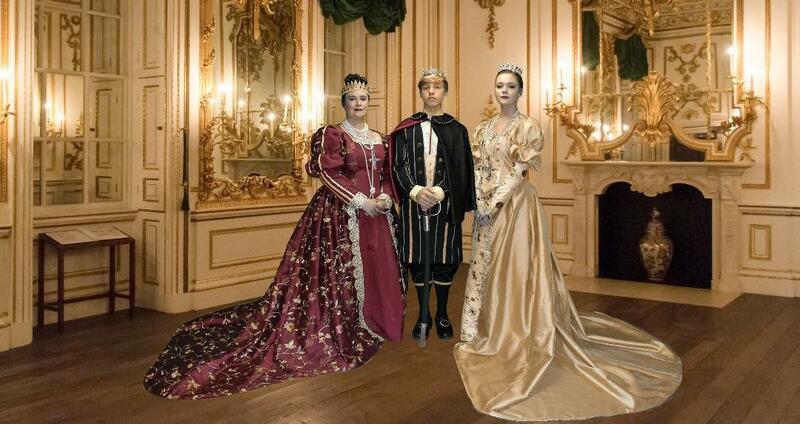 They will receive their symbols from the 2018 trio, Heather Hartley Leonardy as Queen Mariana; Alyssa Rogero as Princess Margarita Maria; and Tristan Root as the young boy king, Carlos. Following the transfer rites, the Royal Trio and Entourage will participate in the Blessing of the Fleet during the 11 a.m. Palm Sunday Mass at the Basicila-Cathedral, with Mass followed by a procession to the city yacht pier for the blessing of the boats. The Royal Knighting, honoring individuals who have contributed to the betterment of the Easter Festival and the community as a while, begins at 6 p.m. April 15 in the Isabella Gardens, St. George Street. All Easter Festival events are free of charge. The Easter parade begins at 9 a.m. April 20, Saturday; the promenade is in the Plaza de la Constitucion at 1 p.m. April 21; and awards and fromajardis are also planned on Easter Day, concluding this year’s festival.